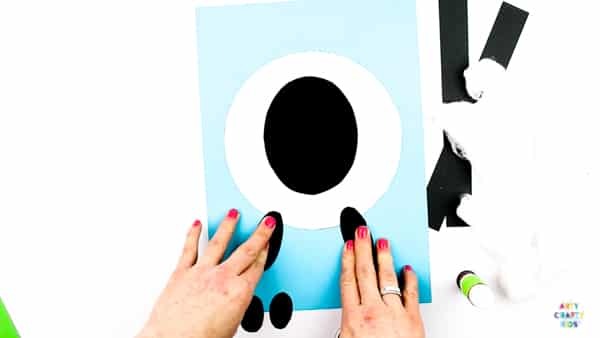 Looking for Spring and Easter themed art and craft ideas? 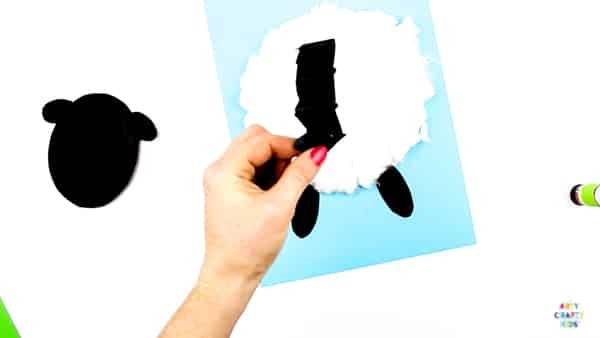 This adorable 3D Spring Lamb Craft plays on the image of new lambs bouncing around the fields at the beginning of Spring. Its bouncy, wobbly heads adds a playful element to the craft that will be adored by children. 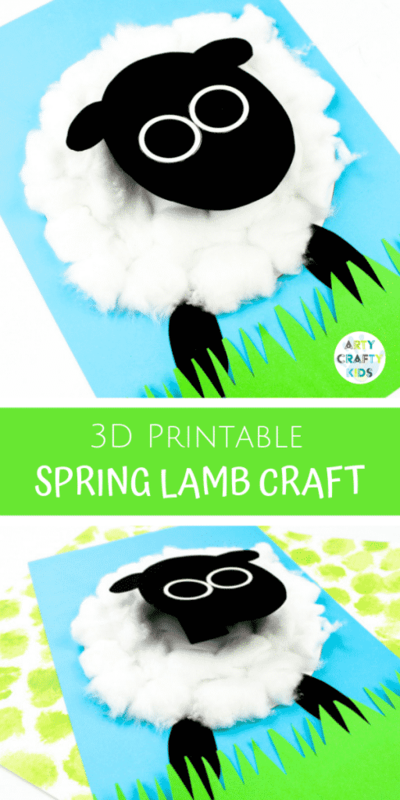 The 3D Spring Lamb Template is exclusively available to Arty Crafty Kids Club members. 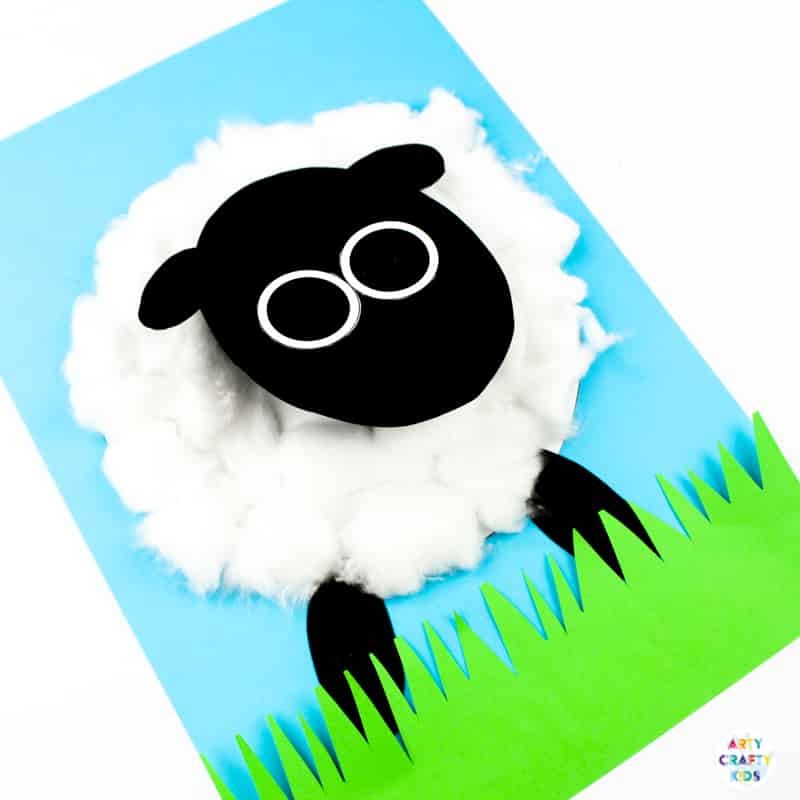 Join the Arty Crafty Kids club to download the templates and access our complete collection of Art & Craft templates, Colouring Pages, How to Draw Guides, Activity Booklets and much more! Already a member? login here! and search 3D Spring Lamb. 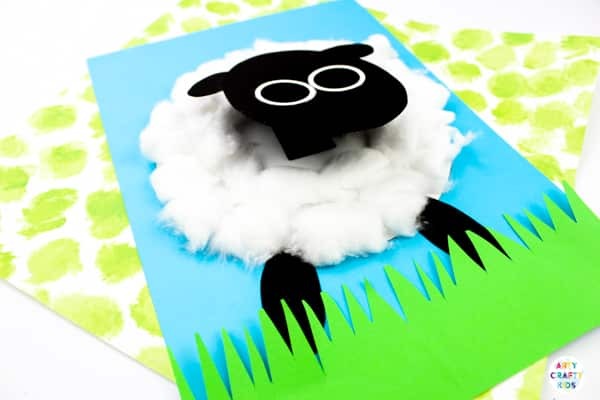 The template can be accessed via the Arty Crafty Kids Club members area! 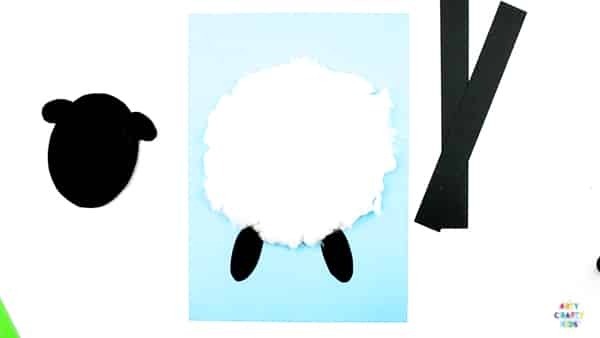 Cut out the lamb elements. 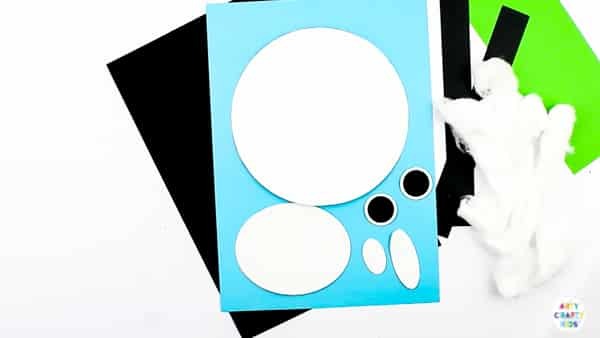 Stick the large circle to the sheet of blue card. Using black card, trace the remaining elements. 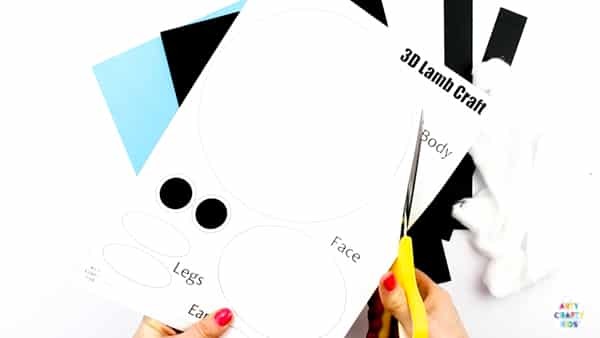 Arty Crafty Kids will need to create a pair of legs and ears. 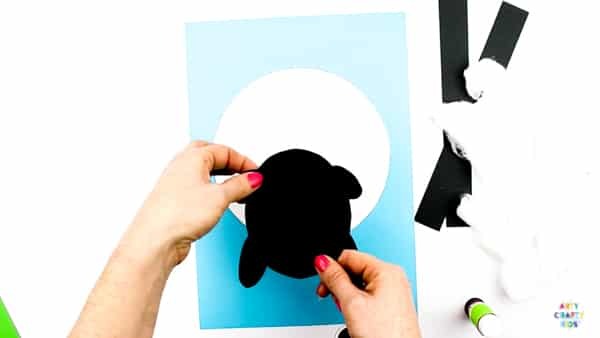 Attach the lambs legs to the bottom of the white circle. Attach the smaller ovals to the sides of the lambs head. Leaving a large round space in the middle, fill the lambs body with cotton wool. 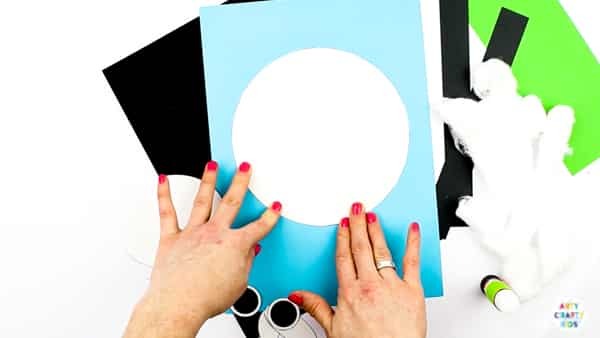 Using scissors or a paper cutter, cut out two even strips of coloured paper – ideally, the strips will be fairly wide and for length, I would recommend cutting the paper from the shortest side of an A4 piece of paper. Take the two strips and position them in a 90° angle as shown above. Glue the connecting papers together. 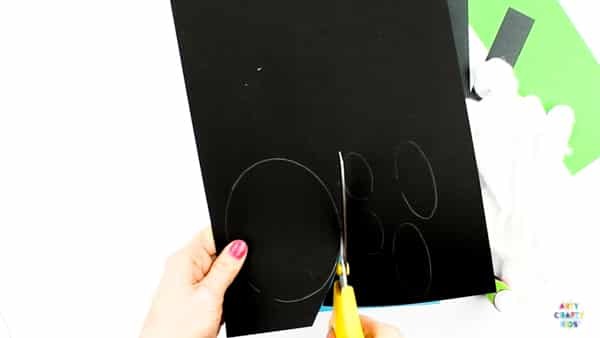 Fold the bottom strip over the top and crease the fold along the edge. This will make the accordion fold tight! 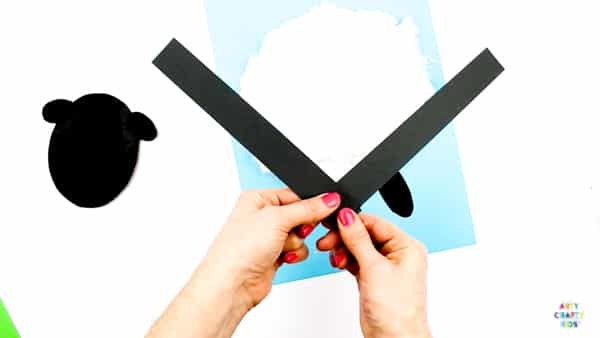 Continue this process until all the is paper has been folded. Seal the ends with glue. Stick one end of the accordion fold to the centre of the lambs body. Attach the head to the other end. The lambs head will now bounce and wobble! Complete the lamb with a pair of eyes! 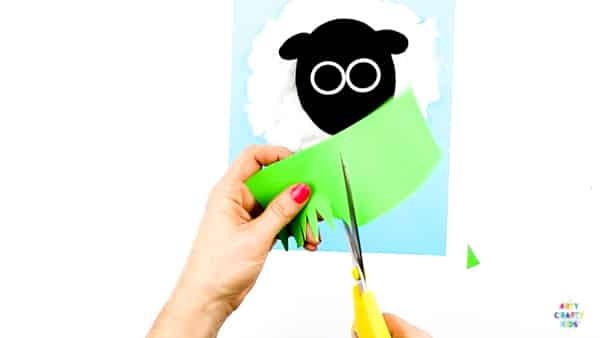 Complete the 3D Spring Lamb Craft with a strip of green paper, cutting irregular triangles out of one side to create the impression of grass. Perfect for Educators and Parents, with new content added weekly! 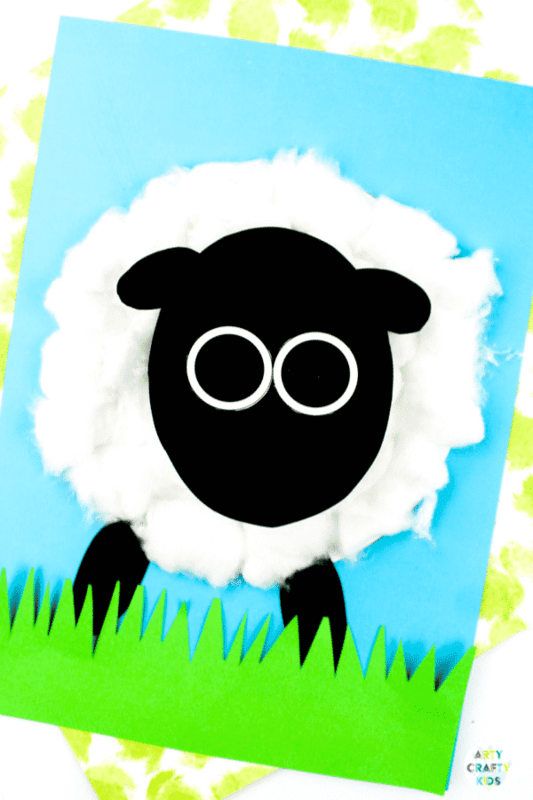 I hope your Arty Crafty Kids enjoy creating their bouncy Spring Lambs!